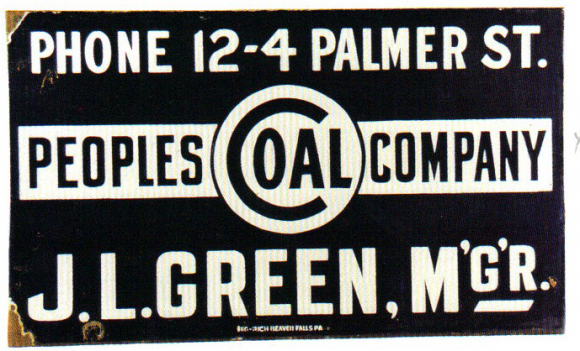 This is a rectangular Peoples Coal Company porcelain sign. This particular Peoples Coal Company sign is black with white print. It reads, “Peoples Coal Company, Phone 12-4 Palmer St., J.L. Green, M’g’r.” and features a white banner in the center of the sign.